Bob Dylan. Tom Waits. Blondie. The Ramones. REM. The Who. Fleetwood Mac. Led Zeppelin. The list goes on and on. The Old Grey Whistle Test has played host to some of the biggest names in music and has assumed its rightful place at the pinnacle of rock history - but how much of a fan are you? Do you know your Bowie backlist? Could your knowledge of Lennon long-players stand up to scrutiny? And can you tell your glam rock from your hair metal? 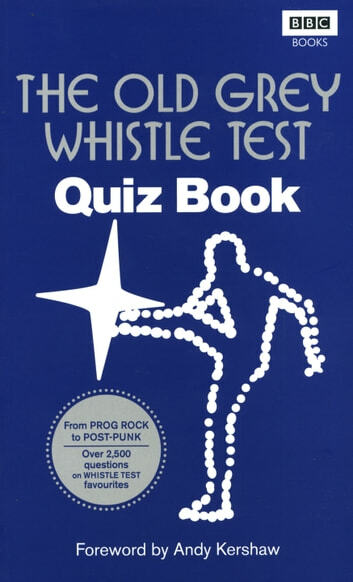 This collection delves deep into the Whistle Test archives to pose over 2,500 quiz questions on your favourite artists, from global megastars to obscure one-time guests on the show. Play in teams or test your own knowledge on questions covering a whole range of musical puzzles, from lost albums and banned songs to classic solos, one-hit wonders and more.